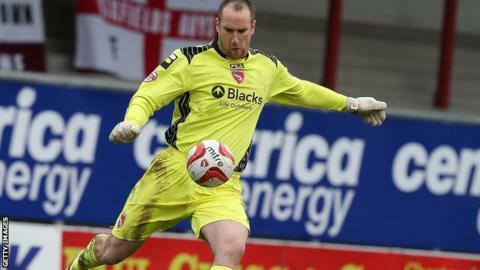 Morecambe keeper Barry Roche has signed a new two-year contract with the League Two club. The 32-year-old Dubliner's current deal was due to expire following the end of his sixth season with the Shrimps, for whom he has made 289 appearances. Roche began his career at Nottingham Forest before joining Chesterfield on a free in 2005, then Morecambe in 2008. "He's an unbelievable professional, coming into his prime as a goalkeeper," boss Jim Bentley told BBC Lancashire.